 Parking passes may be obtained online through Buffalo State Parking Services. You will need your campus email username (JUST the username, not the entire e-mail address eg. henryd) and password. You will select a staff parking pass (you should pay no more than $4). Permits can be sent via U.S. mail or picked up in the Parking Services Office, Chase Hall 126. A valid photo ID must be shown when picking up a parking permit. Master teachers can come on campus to the Butler Library circulation desk on the second floor and show a valid photo ID. Click here for more details. You can also order an ID online using this form and you can use the picture from our MSMT directory. 3. Update your information with the NYS Vendor Management System. (Only you can make changes to your Vendor account. Please contact the SFS vendor management unit here or call the SFS Help Desk at 518-457-7717. Enter OneDrive via the web. Click on the “return to classic onedrive” on the bottom left of the window. Then you should see the two GRPs. The Minicourses are in the GRP-GRP Master Teachers. (This will always work). Instead of using my original directions for getting into OneDrive, go through Outlook instead. In the Toolbox, click on Faculty/Staff email. Sign in with your Buffalo State login & password. You will see your groups on the left. Click on the GRP you want. Click here to let us know about the work you are doing with preservice teachers. In your role as a Master Teacher Fellow, when you present at a conference or provide professional development the Master Teacher Program would love to hear about it! Click here to tell us about your service. Click here for the Master Teacher Participations Correction form. Master Teachers are life-long learners and often seek the opportunity for external professional development in addition to what is offered through the Master Teacher program. These opportunities can include conferences, workshops, and other related PD. There is a limited amount of funding available for requests such as these. The documents below provide detailed information on the external PD support process. Below is the link to the application. Please print the application, complete it, scan it, and email it to msmt@buffalostate.edu. After you complete your external professional development you must complete this reflection form. If you have any corrections or clarifications to make about this record, please contact Bev Mackenzie by completing this form.